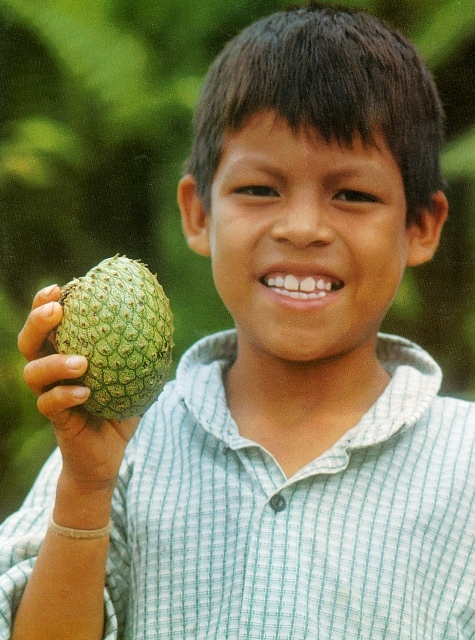 Annonilla is a fruit from the Amazonian region. It grows wild in the floodplain forests along blackwater rivers, such as the Yanayacu in the Pacaya-Samiria National Reserve of Peru. Because of the awkward location of the trees, the fruits are gathered by locals from canoes at the high water. The fruits have a very characteristic flavour. These are liked by the locals who eat them fondly. The fruits are sold in the markets. An evergreen small tree growing upto 5 m.
Fruits large, rind shiny green, relatively thin, covered sporadically with small, prickle like protrusions, pulp creamy, white. 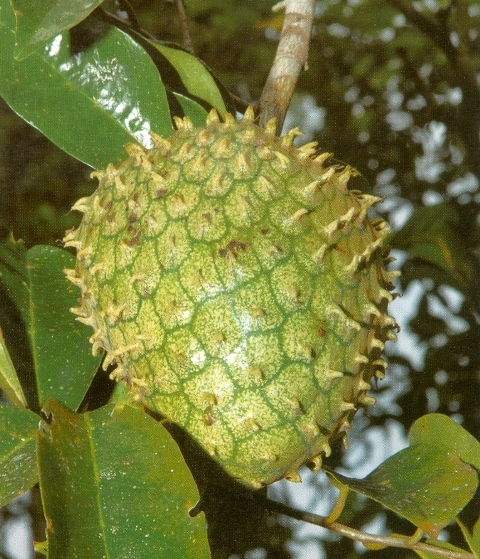 Annonilla fruits resemble those of sour sop. These are large and mostly eaten fresh. The fruits are also made into an appealing drink by the locals. Annonilla is a perfect candidate for domestication and should be promoted as an orchard fruit. The seeds can float in water so they seem to get dispersed in nature by water currents. Annonilla can be propagated by seed.